Shock Top brew masters just released their second limited edition beer for 2014, the Shock Top Spiced Banana Wheat, a Belgian-style unfiltered wheat ale with a sweet banana aroma, subtle hopping and a smooth, creamy caramel finish for a full flavor experience. This limited edition brew will be available on draught at beer festivals, Shock Top special events and for a limited time at select retail locations. 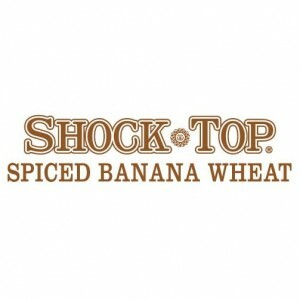 If you are going to celebrate Banana Lover’s Day on the 27th then why not pick up the Shock Top Spiced Banana Wheat. Like I stated earlier it is a limited edition festival beer brewed with wheat, citrus peels, honey, spice and banana with a light golden color and 5.5 percent alcohol by volume (ABV). 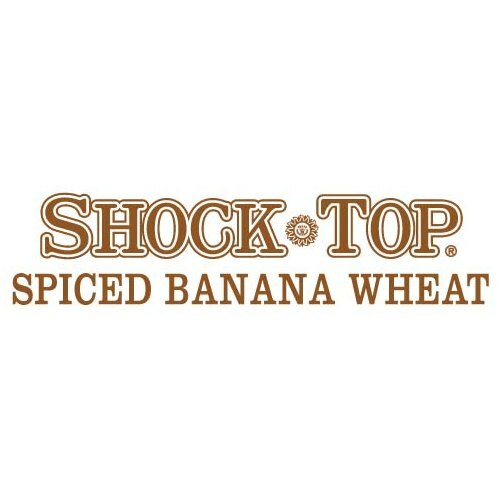 Shock Top Spiced Banana Wheat is a limited edition beer only available on draught at beer festivals, Shock Top special events and for a limited time at select retail locations. So make sure you pick up some soon or you will miss out! Cheers! $tandard ©reative threw Pizza a 125th Birthday Party and ordered delivery from every pizzeria in NY. It was a great idea from Matt Capucilli! All made possible by Shock Top Brewing Co., who sponsored the project. Pizza was created on June 11, 1889 by hero genius Raffaele Esposito. 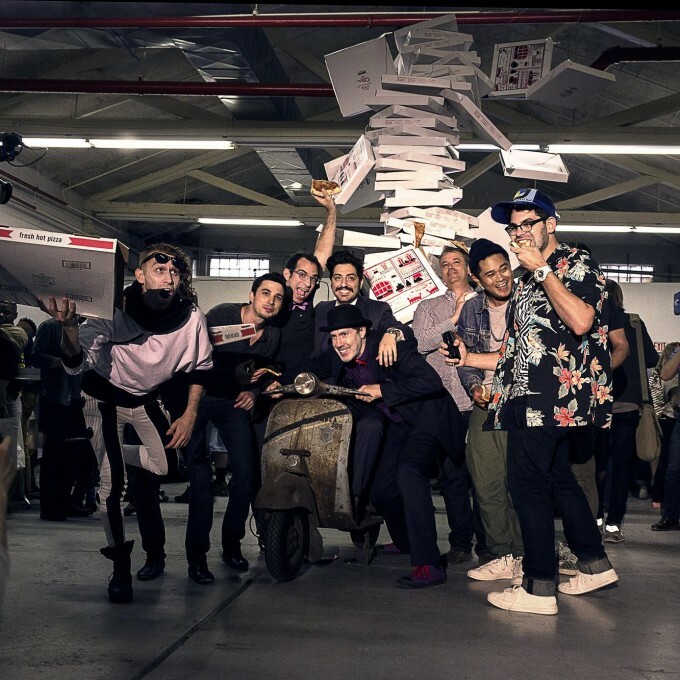 We celebrated Pizza’s 125th birthday at our studio by ordering delivery from every pizzeria in New York. Zombies, hot pin-up girls, Rev Run, a full military evacuation, off-roading, zip lines and ATVs, spa treatments, freshly fallen snow, southern luxury, a decommissioned government bunker and one really posh hotel built in the mid-nineteenth century. If the world was supposed to end, this is where you’d want to be. December 21, 2012 came and went, and we’re all still alive. But if for some reason the world had come to a close, the MANjr team and 400 other party goers would have been save and sound. That’s all thanks to Shock Top and the End of the World Bunker Party that the beer brand hosted at The Greenbriar in West Virginia. The winners came from far and wide. Some people won a trip to the party from Facebook. Others gained entry through giveaways and sweepstakes held at bars, on the web and on the radio. However they got there, the people assembled were ready to party like there was no tomorrow. The whole event was a study in clever brand marketing, high-level logistics and epic execution. 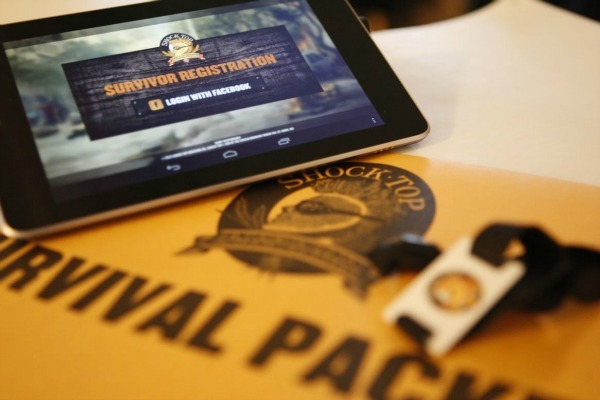 Designated survivors were notified weeks in advance of the party and were sent top secret materials about the weekend’s events and festivities. We were given the option to choose from a variety of “end of the world” training events. This included a 5K Zombie run, off-road driving training, a zip line and ATV adventure, a trip on a biplane (which was cancelled due to the weather conditions), polar plunge, bungee jumping or the chance to do nothing and get pampered at the spa and hit the casino. Although we didn’t get to participate in these training events, by all accounts each activity option was pretty awesome. With the amount of unfiltered beer I consumed the previous night, I don’t think I would’ve survived the zombie run. But that’s just me. After the activities were completed, it was time to rest up for the final, epic last meal. This was really a treat. 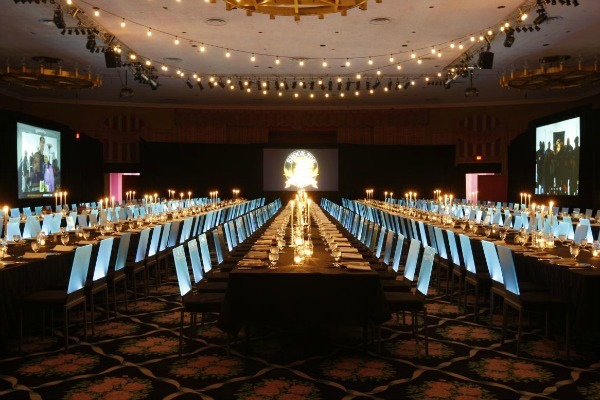 The multi-course meal was set in a large banquet hall. Epic last meal indeed. All the guests were stuffed by the third course and before the midnight snack desert could be served, the dinner was interrupted by a news broadcast that reported the demise of the globe and the existence of a group of survivors set to post up in a bunker in West Virginia. That was immediately followed by a rush of military personnel calling for an evacuation of the survivors assembled in the banquet hall. Everyone got up out of their seats and grabbed what beers they could. We were handed these metallic heat jackets and loaded on to buses. A short ride later, we arrived at the main entrance to the bunker, with Humvees and military members standing watch. We entered the bunker (a decommissioned Eisenhower-era top secret U.S. government relocation facility for Congress) ditched the heat jackets, and the party was on. Gorgeous Shock Top girls littered the crowd and ensured that everyone had a beer in hand and a smile on their face. The setup was pretty elaborate. All the Shock Tops were present: Belgian White, Wheat IPA, Lemon Shandy, Raspberry Wheat, Apple Cider and the specially-brewed End of the World Midnight Wheat. 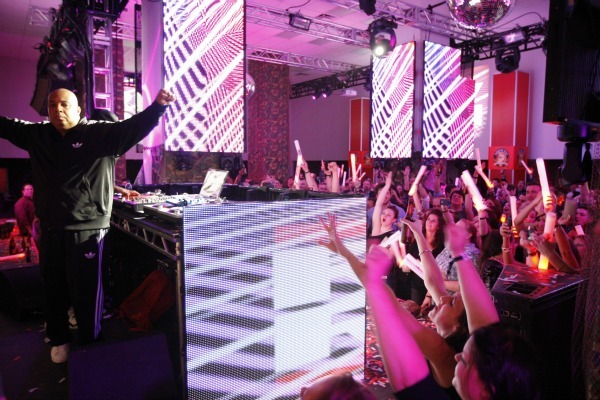 At midnight we were treated to a surprise guest – Rev Run from Run DMC. He fired up the crowd and kept the party going. Good times we’re had by all. The event was success all around. 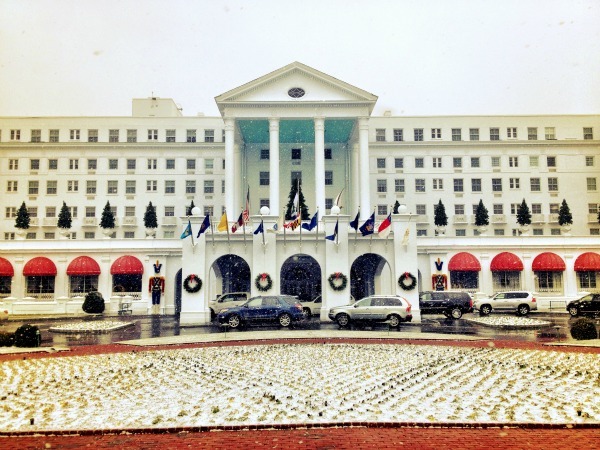 Posh digs, cool activities, an elaborately executed schedule. Some serious planning must have gone in to the whole weekend. Thanks to Shock Top for sending us out to cover such a fun event. The Shock Top End of the World Bunker Party definitely lived up to the hype. If the world was going to end, there’s no place I would’ve rather been than drinking good beer with good people in a party bunker atmosphere.